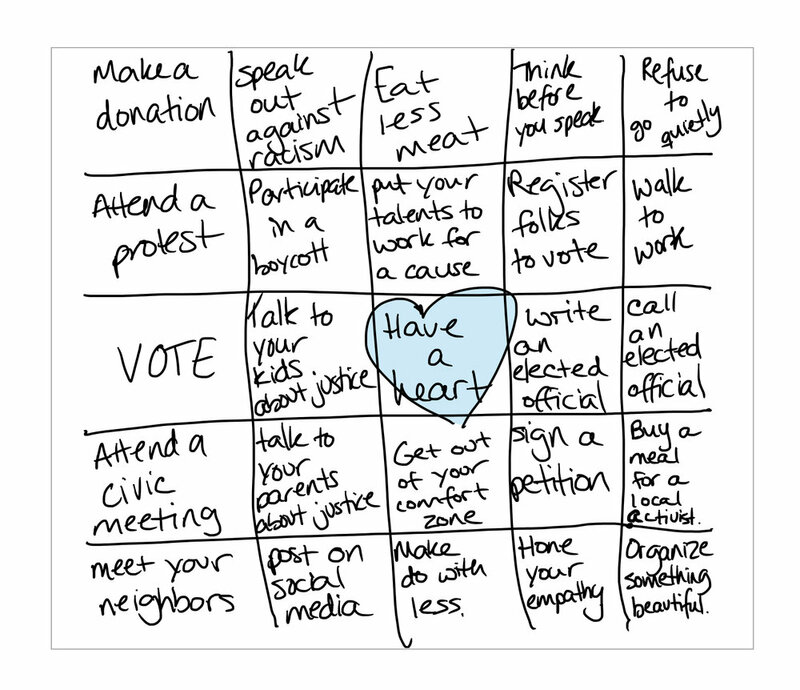 Make a difference BINGO. — Jennifer L. Phillips, Ph.D.
Start with any square. Go for blackout. When you finish, start again. And again. And again. And again. This list is not comprehensive, and you (or I) alone cannot save the world. But we can be luminous threads in the technicolor tapestry of justice.